There was a time I was comfortable being the expert. I was asked to do an ‘expert’ experience review recently. Ever since it’s been playing on my mind – surfacing internal conflicts and self-doubt around how comfortable I am taking the role of ‘expert’ in this field. It’s a feeling that’s changed with time, so I mapped it. At the most recent end of this quick map of my feeling of ’expert-ness’ over time, I seem to be bouncing back to ‘comfortable’, but I’ve adopted a very different way of sharing what I know to help others who need a quick reality check. 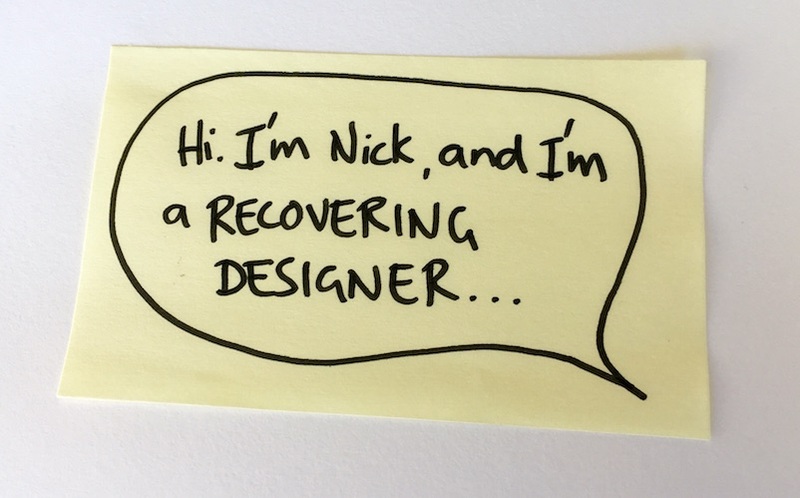 I sometimes introduce myself as a recovering designer. That’s what it felt like coming into design research from a world of designing things – things you could walk around in, ride on, or at least touch. In my mind – I was the expert at designing the thing. I’d been working in a context where understanding the user need was less important than satisfying my own need to bring something into the world. So, when (north of ten years ago) a brave London usability agency hired me, I had to go ‘cold turkey’ on being the expert, and recover … from my own ego. Now the user was the expert. I felt like a medium through which their observed and expressed attitudes, behaviours and needs were filtered. It was humbling for the former me. But what about the users? After a couple of these reviews, something felt wrong. It felt like a backwards step. Was I short-changing the client by only critiquing/responding to their proposition through my own eyes and experience?. I felt the ego and assumption of the bad old days coming back. So I stopped saying yes to expert reviews. 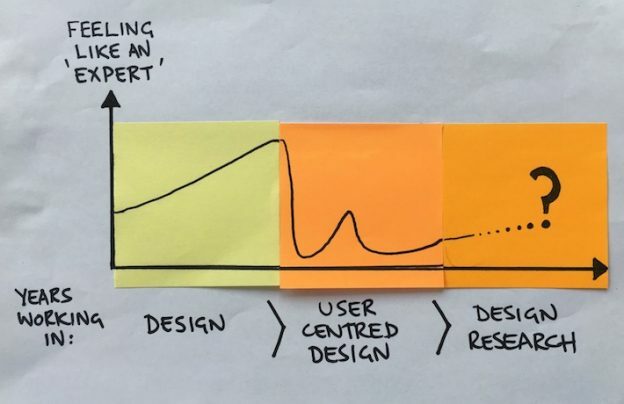 My belief was that – yes – I had taken on the role of expert (at designing and conducting research) but the user was the expert, so I couldn’t do my job without them. How could I possibly make a recommendation without some kind of contextual understanding?, let alone meeting the users, or exploring the commercial landscape. In some ways I felt it was doing a dis-service to the profession to offer a from-the-hip, ‘based on what I’ve seen’ opinion. Certainly not for anything more than tactics anyway. I say yes, but use my expertise in a different way.. I just don’t review the product/experience against ‘customer experience rules of thumb’ or ‘best practice’ … I review the opportunity to learn about customers, and quick. I share my experience by suggesting simple and practical, bite-size research approaches to stress-test their assumptions around how people think and behave in their category. This usually either validates whether they are on the right track, or reveal gaps in understanding. Some of these ‘clients’ have had plenty of exposure to, or at least a direct line to their customers… they’ve just never deliberately set out with an intent to understand them, let alone reality check their product by spending time with them. …at understanding the other expert. This entry was posted in Design research, Observations, User Centered Design by Nick.